Target Archery consists of target shoots with longbow or recurve bows at a series of standard ranges. Arrows must be wooden with feather fletching. The SCA doesn’t use the modern compound bows, considering them beneath our dignity. Combat Archery usually mixes armoured fighters, armed with traditional SCA weaponry such as sword and shield, with archers, who are armed with bow and arrows. Sometimes, siege weapons get involved for a little extra fun. Combat is typically held at camping events, where different scenarios are used to mix the two fighting forms. The Barony participates in Inter-Kingdom Archery Competitions from time to time, and archery practices are held regularly. There are important safety rules governing this sort of combat. All fighters participating in combats involving archers must have legal mesh on their helm so that arrows cannot get through the bars. Bows used for Combat Archery are permitted to pull of no more than 30lbs at 28 inches for both longbows and recurves. Compound bows and crossbows are not permitted. Blunts on arrows must be the approved Kingdom standard, which is “Riverhaven Mk II” blunts. These must be securely taped to the arrow shaft — gluing is discouraged and taping across the striking surface of the blunt is not permitted. Shafts must be wooden, no more than 8mm (5/16″) diameter and bound in fibre tape. 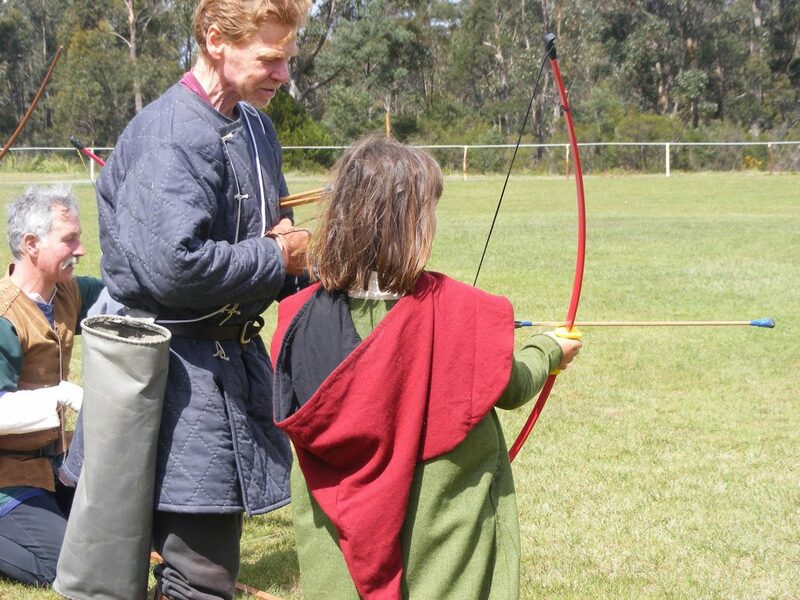 For further detailed information speak to an authorised Archery Marshal or the Captain of Archers.